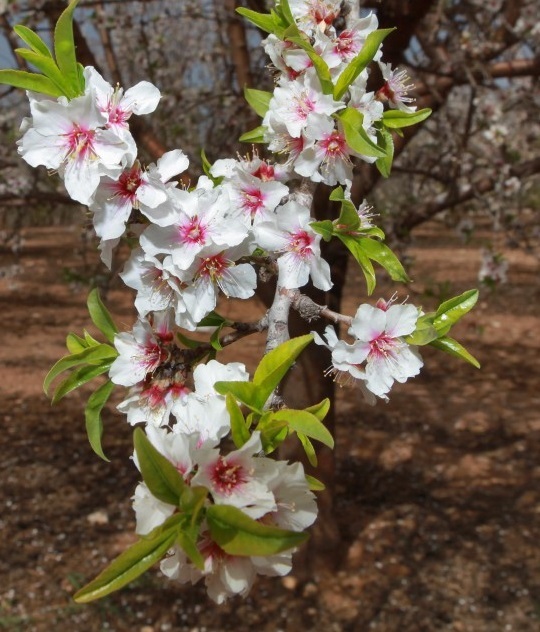 In February the almond trees bloom in Israel. They are the first trees to wake up from winter dormancy, and their white flowers appear before their leaves. Moses receives detailed instructions from God Sinai in this week’s Torah portion, Terumah (“Donations”), for making a tent-sanctuary and each holy item inside it. God describes the lampstand or menorah in terms of an almond tree. 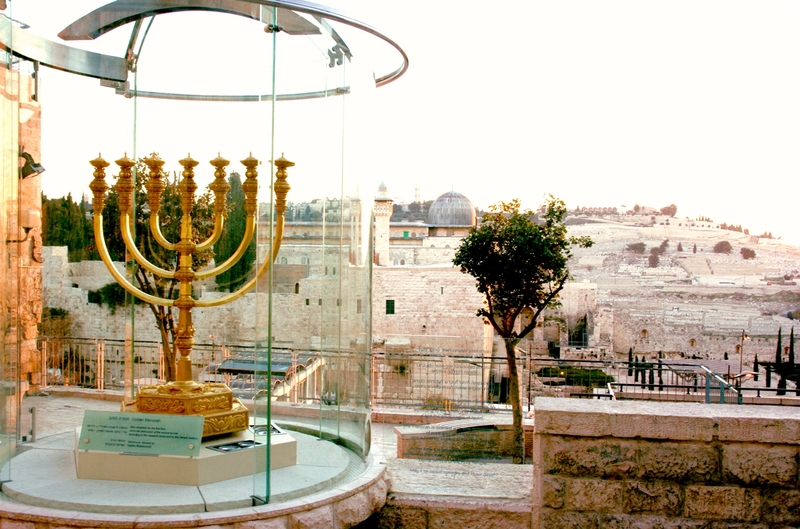 menorah (מְנֺרַה) = lampstand supporting bowls of oil with wicks. kaftor (כַּפְתֺּר), plural kaftorim (כַּפְתֺּרִים) = knobs, drupes (fruits with pits, such as peaches, plums, and almonds), capitals of columns resembling almond drupes; natives of Crete. Each oil lamp consists of a bowl that looks like an almond blossom sitting on top of an almond drupe. (Unlike a peach, the fleshy part of an almond drupe is a relatively thin covering over the pit, which has an almond seed or nut inside.) The central shaft of the menorah has the same decorative motif at each of the three junctions where shafts branch out, with the central shaft continuing up from the flower-bowl shape. At the top of the central shaft the fourth almond flower-bowl is open and serves as the middle lamp. Lexicons classify meshukadim as a form of the verb shakad (שָׁקַד) = made like an almond, as opposed to the identically spelled verb shakad (שָׁקַד) = watched for, was vigilant, was alert. Another passage in the Hebrew Bible uses the identical spelling and pronunciation of the two shakad root verbs as a prophetic pun. 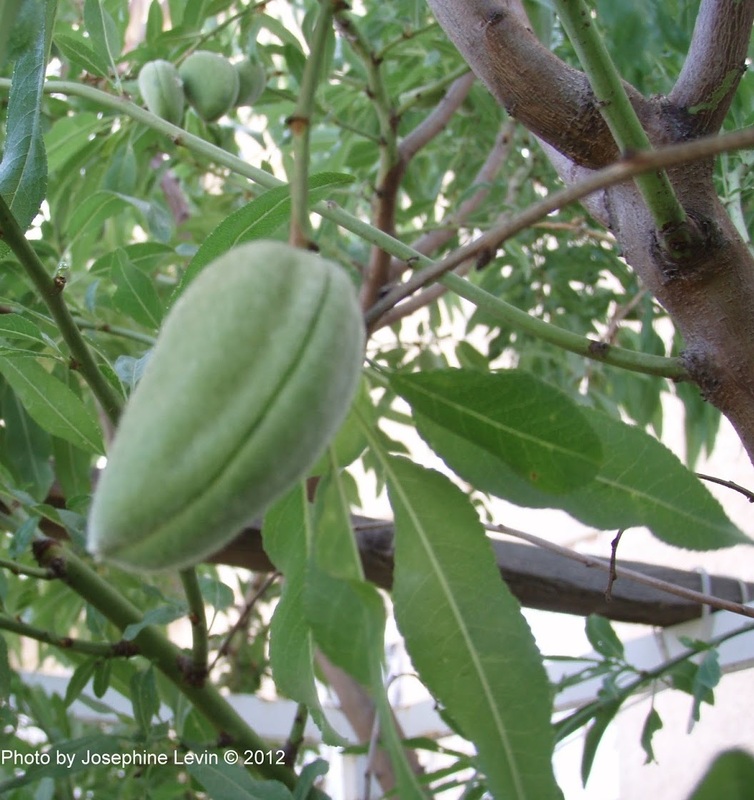 shakeid (שָׁקֵד) = almond, almond tree. shokeid (שֺׁקֵד) = being vigilant, watchful, alert. Lamps are symbols of enlightenment, divine inspiration that casts light so we can see something more clearly. The menorah in the sanctuary is the size of a human for practical reasons—but perhaps also because it is humankind’s job to receive and spread enlightenment. It may be shaped like a tree in recollection of in the Tree of Knowledge of Good and Bad in the garden of Eden. After all, enlightenment is a spark of insight that blooms into new knowledge. Why is the design of the menorah taken from the almond tree? I think this is a double symbol, from the double meaning of meshukadim: “being made like almonds” and “from those who are vigilant, watchful, awake, alert”. Almond trees flower before any other useful tree. They wake up and bloom when it is still winter. Similarly, enlightenment can bloom even in the winter of our souls—but only if we keep watch for it, if we stay alert to any sign of holiness. 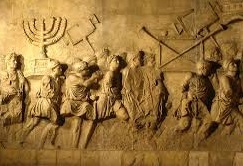 We can be shokeid, vigilant, by serving as our own high priests, tending the lamps of our own inner menorah. We human beings are all too liable to sink into a semi-conscious state in which we operate automatically, making habitual assumptions instead of asking ourselves questions. Yet when we do pay close attention to our own minds, to the people we encounter, and to the teachings we receive, we create our own menorah and find our own enlightenment. Aaron, the first high priest, has the duty of tending the lamps. See Exodus 30:7-8, Leviticus 24:3-4, Numbers 8:1-2. Jeremiah 31:28, Jeremiah 44:27, Daniel 9:14. Psalm 102:8, 127:1, Job 21:32.